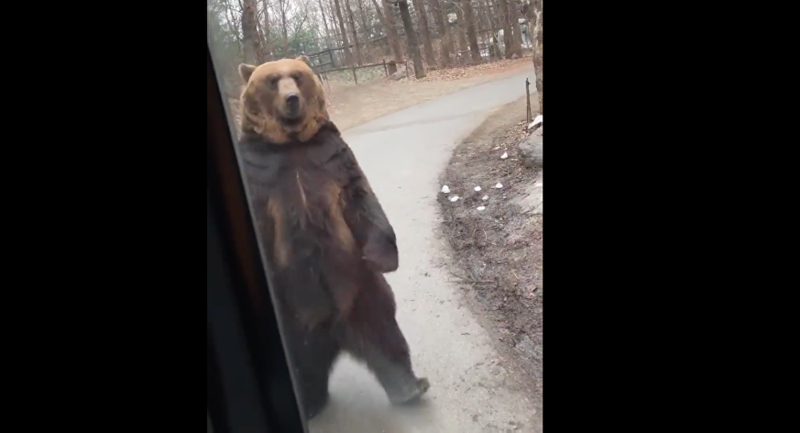 A seemingly sassy bear has captured the attention of thousands on Twitter after it was spotted walking upright next to a bus full of tourists at South Korea's Everland theme park. Despite the viral clip being a mere 10 seconds long, netizens concocted their own conspiracy theories about the bear wanting to catch the bus or even being a human in a suit. Though some are speculating the bears have been subjected to years of physical abuse, park officials claim the animals stand up on their own to receive treats from the tourists.